Thank you American Hotel Register Company for your donation of shampoo, conditioner, soap, lotion and body wash. The Airborne Angel Cadets of Texas will make little goody bags with these items which will be included in the care packages we'll be sending to the U.S. Soldiers, Sailors, Airmen and Marines deployed overseas. 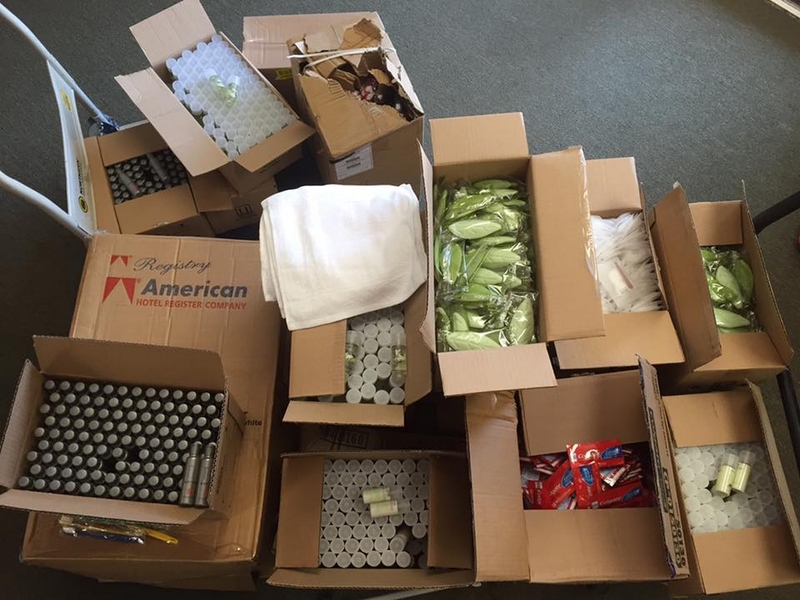 Toiletries donated by American Hotel Register Company.